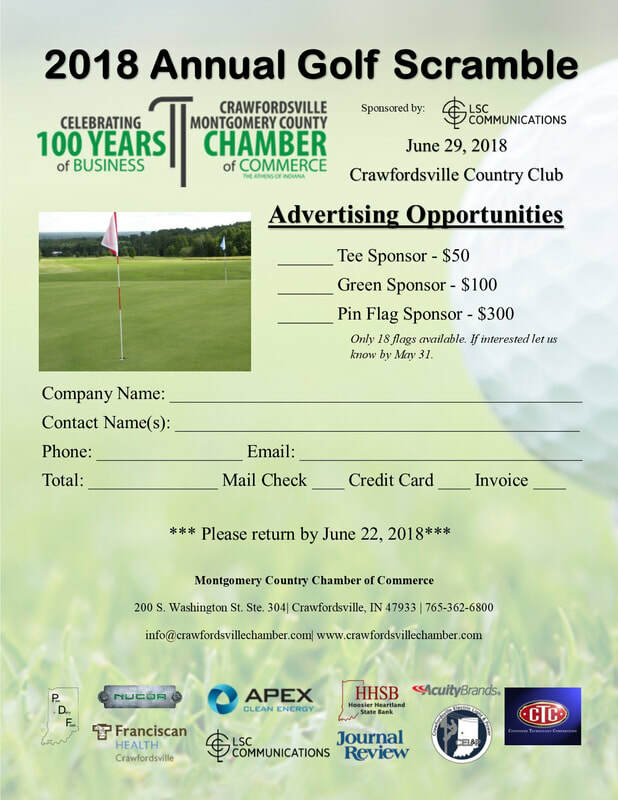 Please join us for a fun filled day at the Crawfordsville Country Club as we continue to celebrate 100 years of business in Montgomery County. Special thanks to LSC Communications for making this event possible through your generous sponsorship! To participate, the fee is $75 per golfer with a shoot gun start at 9:00 AM on June 29, 2018. Breakfast will be served at 8:30 AM and lunch will be served upon completion of your round of golf. You'll also have a chance to compete in the longest drive, closest to the pin, marshmallow long drive, and longest putt competitions on designated holes. You'll want to register early, availability is limited and on a "first come, first serve" basis. Please click on the "REGISTER HERE" button below to purchase your 100th Anniversary golf polo and reserve your spot in the golf scramble. We look forward to celebrating 100 years of business in Montgomery County together.